Entertainment Weekly writes of it all here. The hyperkinetic Williams’ credits include such films as Dead Poets’ Society, Good Morning Vietnam, Popeye, and Good Will Hunting (for which he won an Oscar). 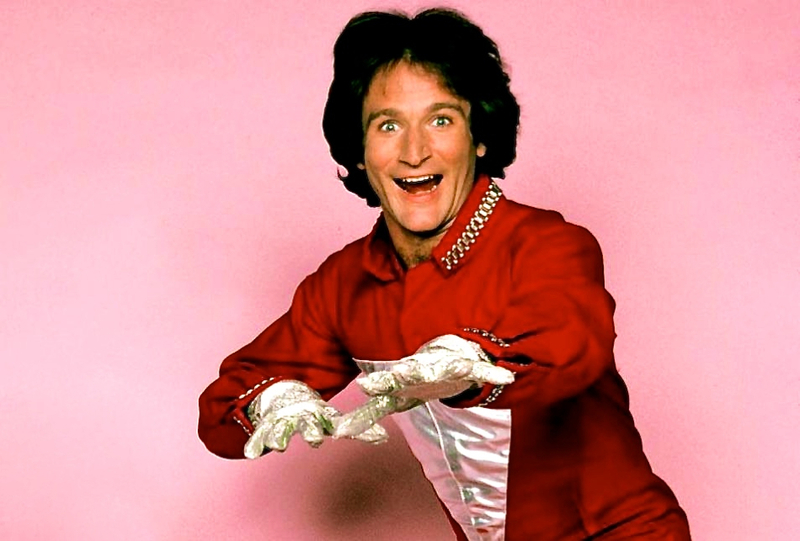 He was also the star of the hit late-70s sitcom Mork & Mindy, but is probably best known and respected for his immensely influential stand-up comedy career. Shocked and at a loss for words, we just share this extraordinary clip of a pre-fame, mid-20s Robin making his cable TV debut on one of HBO‘s earliest “Young Comedians” specials.